It's happening folks, it's finally happening. Sony announced today that cross-platform support is coming to the PlayStation 4, starting with Fortnite. 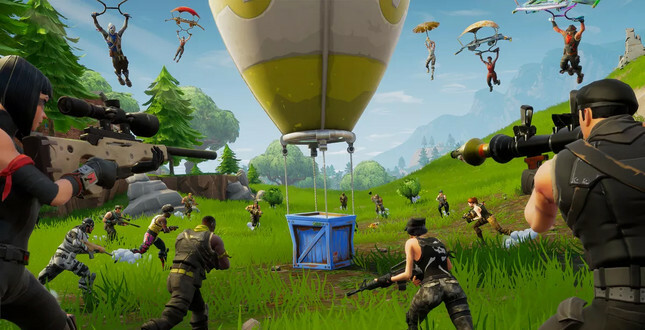 An extended open-beta will begin today for Fortnite, giving PlayStation 4 players their first chance to battle against their Nintendo and Xbox counterparts. The beta will allow cross-platform gameplay, progression and commerce for PlayStation 4, Android, iOS, Nintendo Switch, Xbox One, PC, and Mac. "For 24 years, we have strived to deliver the best gaming experience to our fans by providing a uniquely PlayStation perspective," SIE president John Kodera said on the PlayStation Blog. "Today, the communities around some games have evolved to the point where cross-platform experiences add significant value to players. "In recognition of this," Kodera noted, "we have completed a thorough analysis of the business mechanics required to ensure that the PlayStation experience for our users remains intact today, and in the future, as we look to open up the platform. The team at Xbox certainly seem to be having some fun with the news. Cross-play has been a hotly debated topic this generation, with many notable studios calling out for the boundaries between console communities to be brought down. Microsoft and Nintendo were the first to reach across party lines with Minecraft, while Sony was reluctant to share its toys for quite some time. Sony has indicated this is the first step towards future support for "select third party content," so hopefully there's a conversation happening right now over at Bethesda.